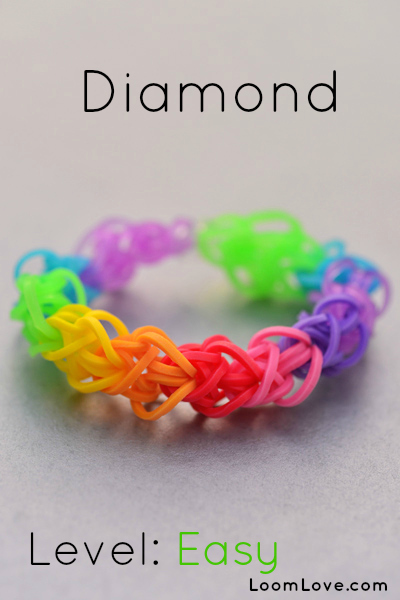 Tired of Starburst Bracelets in Rainbow Colors? Try these! 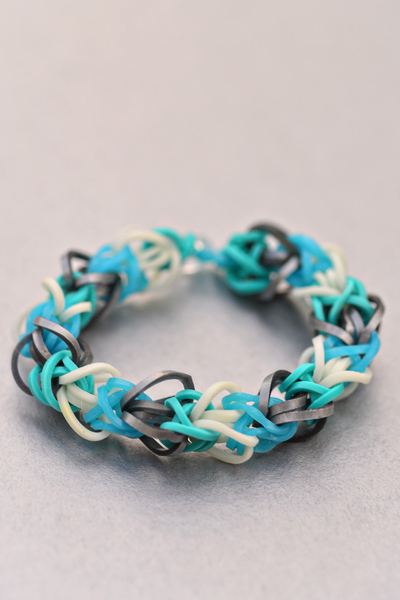 We love this unique colour combo by CutsieTootsieProps. 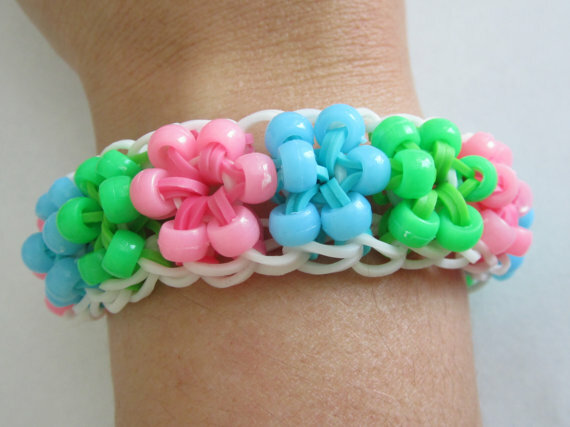 This pastel Starburst has beads! Adorable! By BandsbySydney. 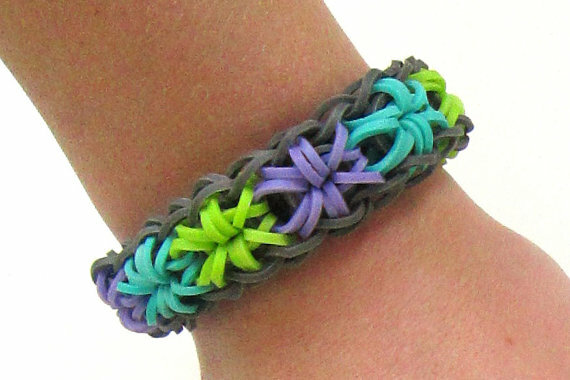 Grey looks great with teal, green and purple centre in this bracelet by LetsBandTogether. 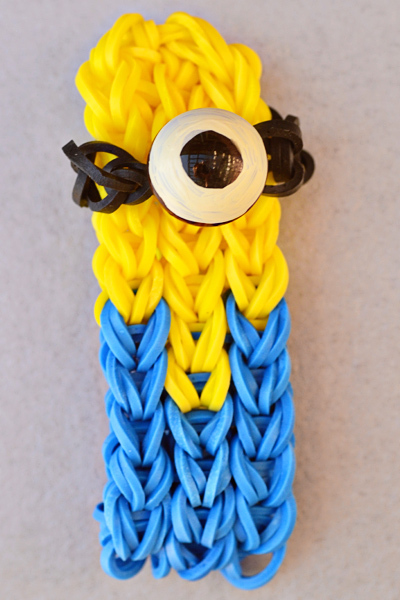 Loving the red and blue, framed by the black bands in this bracelet by BowdaciousCrafts . It reminds us of a granny square afghan! 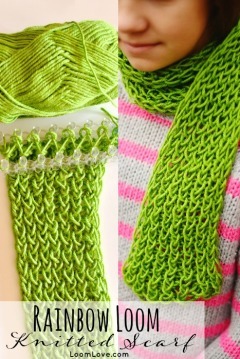 We love the lime green, orange and white combination in the bracelet on the left The colors make it look vintage 1970’s! 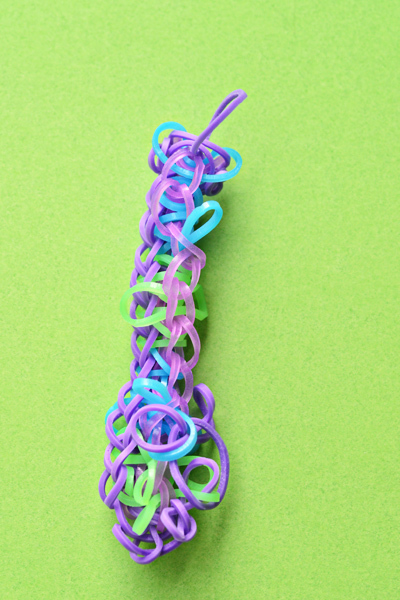 (We loved it so much we attempted the Zippy Chain bracelet in this color combo. Fail!) 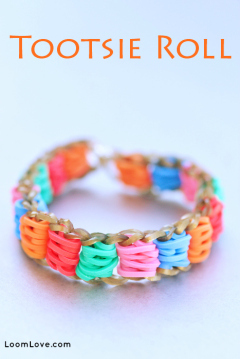 Bracelet by SmileStuf. 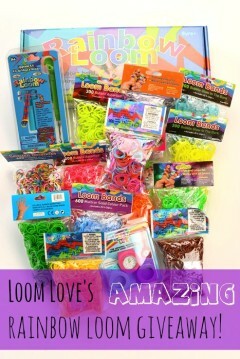 For this fancy bracelet called the Double Braid Loom Bracelet, you will need two looms. 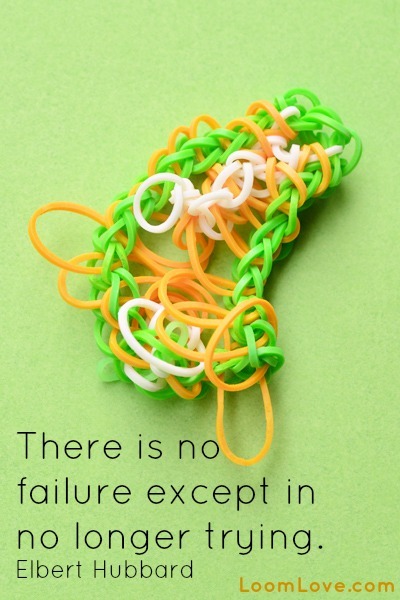 The thing that makes this bracelet extra challenging is that the bands end up being very tight, so you have to be careful that they don’t slip off when you loop them. 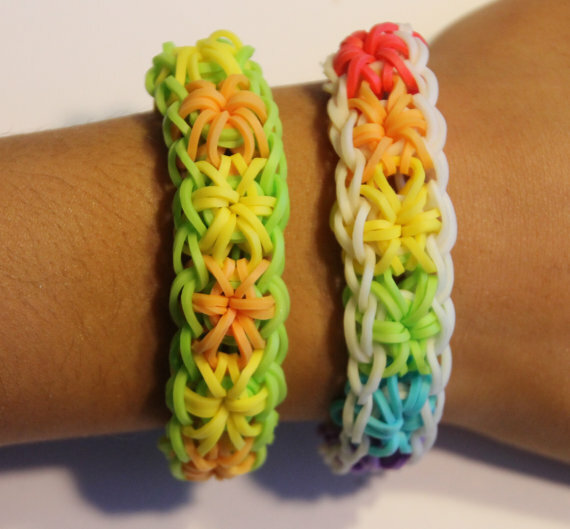 If you want to learn how to make a Double Braid Loom Bracelet, use this video – but keep in mind that you will need to double up on the bands, which is something that Ally doesn’t mention until well into the tutorial. 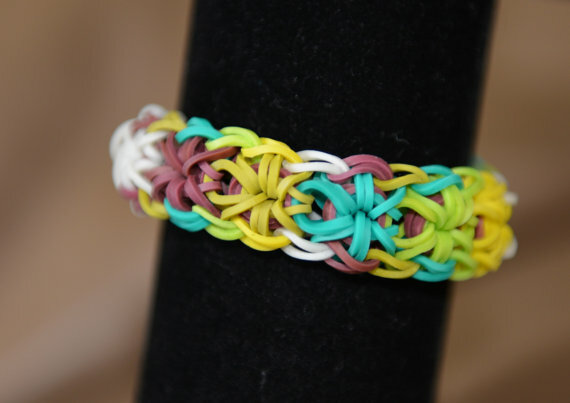 The Liberty Twist is a great looking loom bracelet, but it does require patience. 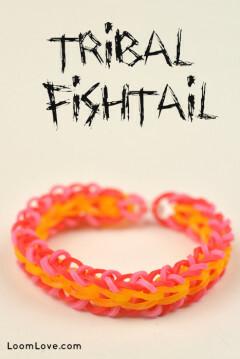 It took us two attempts to make this bracelet; our mom.. well, she’s another story. She tried twice and gave up! 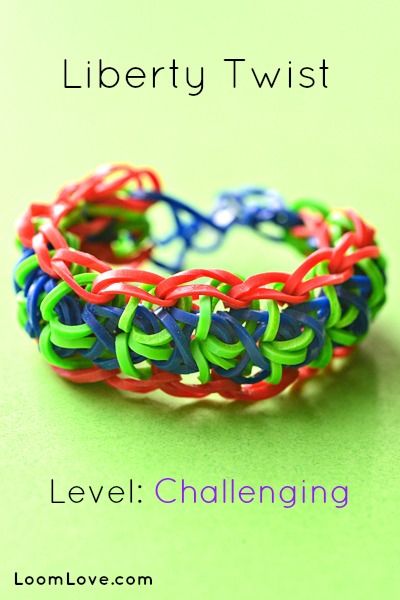 If you are up for the challenge and would like to make your own Liberty Twist bracelet, use this video. 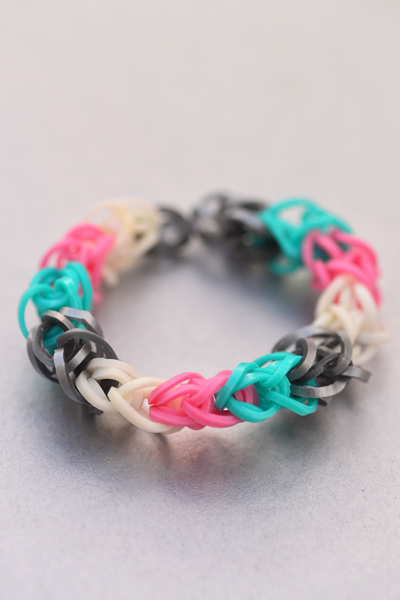 The Rectangle Loom Bracelet is a striking bracelet that isn’t that difficult to make. 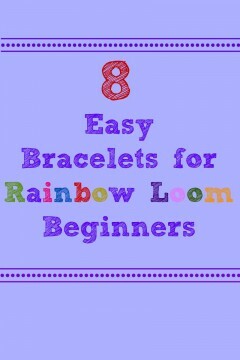 It looks great in rainbow colors, but you could use any color combination you want. 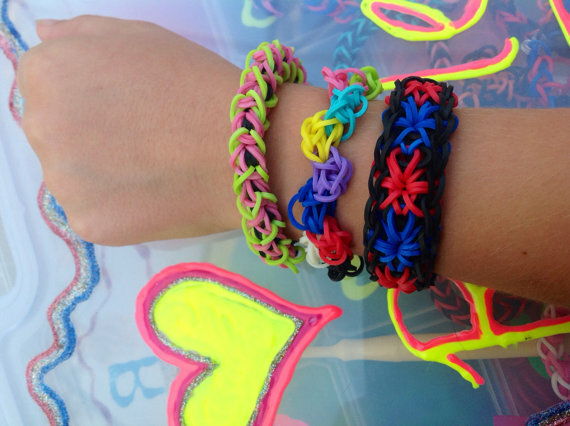 Our mom made these Single Rhombus bracelets. 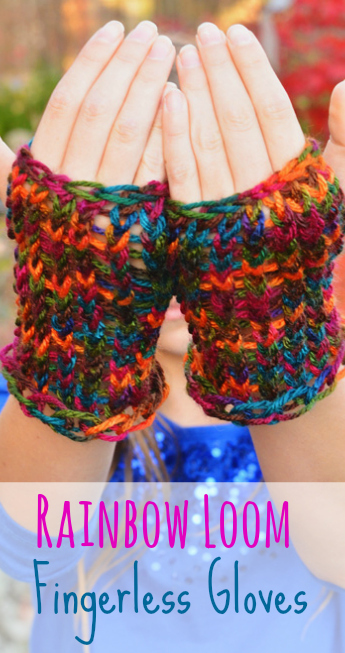 She prefers rainbow colors for this pattern. It took her two attempts to get it right. This is the video that helped her to perfect the Single Rhombus pattern. 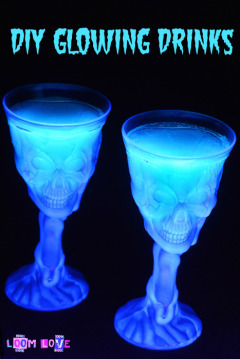 We learned how to make these cool, glow in the dark ghosts from Made by Mommy. We found her instructions to be very clear and easy to follow. 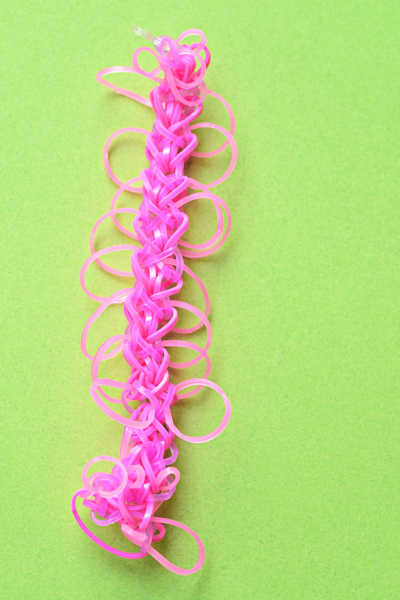 Once you’ve made a couple of these, they are easy peasy! The glow in the dark bands look the best for these charms.